Today I wanted to show you the noticeboard that I have made. This started out as a Ribba frame from ikea. I then took an old noticeboard and cut the cork to fit the frame. I took out the glass, left the insert in the front and place the cork behind it. Then I just fitted the backboard back on and voila, a jazzed up noticeboard. I could have just left the frame as it is but no, I had to jazz it up even more. 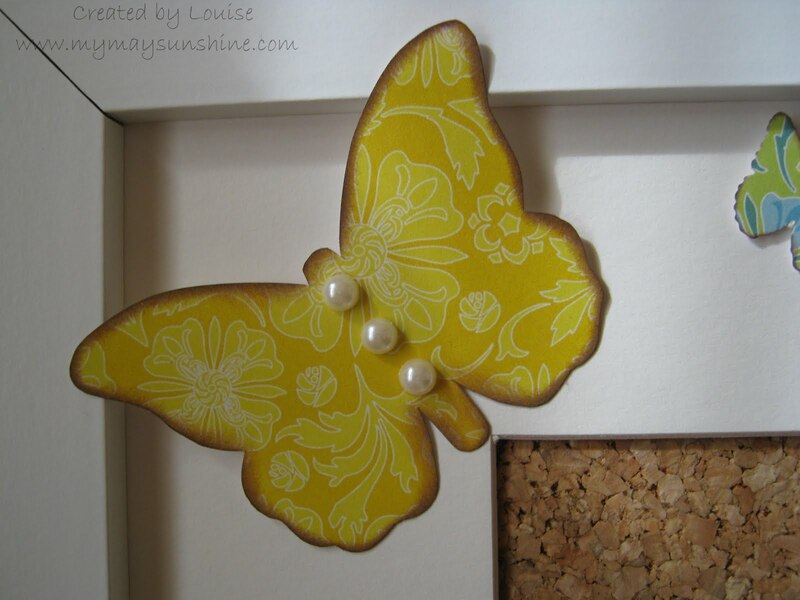 So out came the patterned paper, butterfly punches and template, ink and pearls and I came up with 3 different size butterflies. 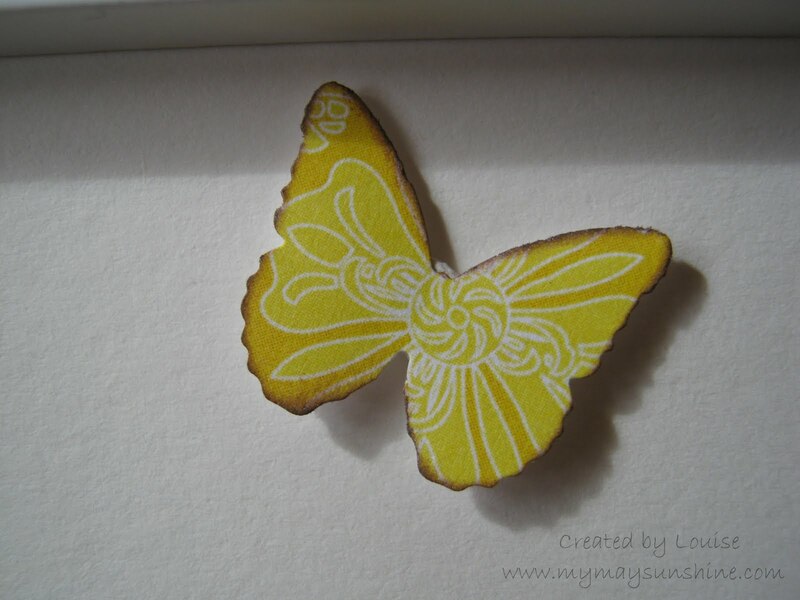 The little butterfly is from the Martha Stewart 3 in 1 butterfly punch. 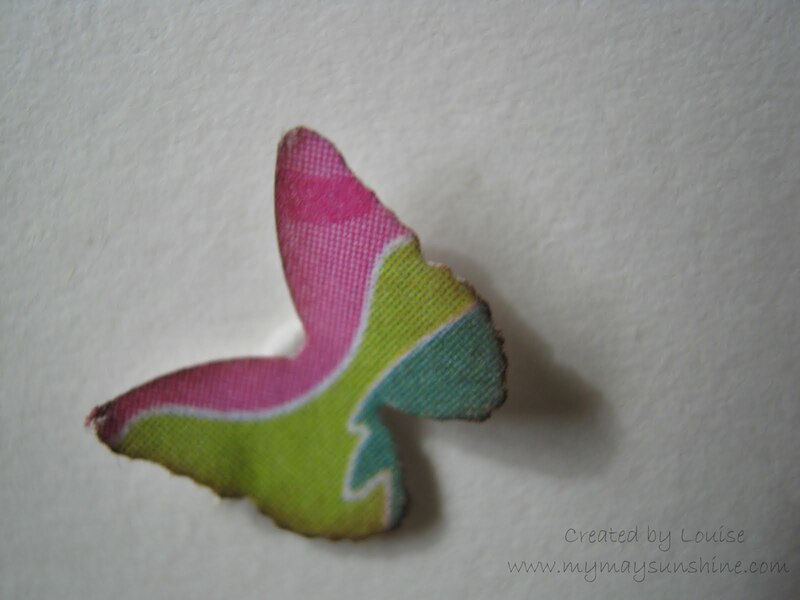 The medium sized butterfly is from the Martha Stewart Classic Butterfly punch. 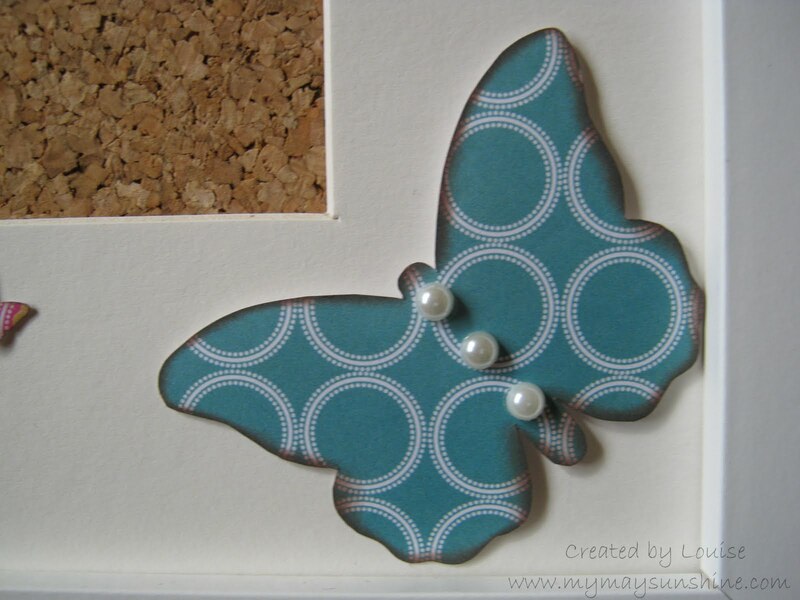 The large butterfly is from Jenni Bowlin butterfly template. The patterned paper is from Cosmo Cricket Delovely. 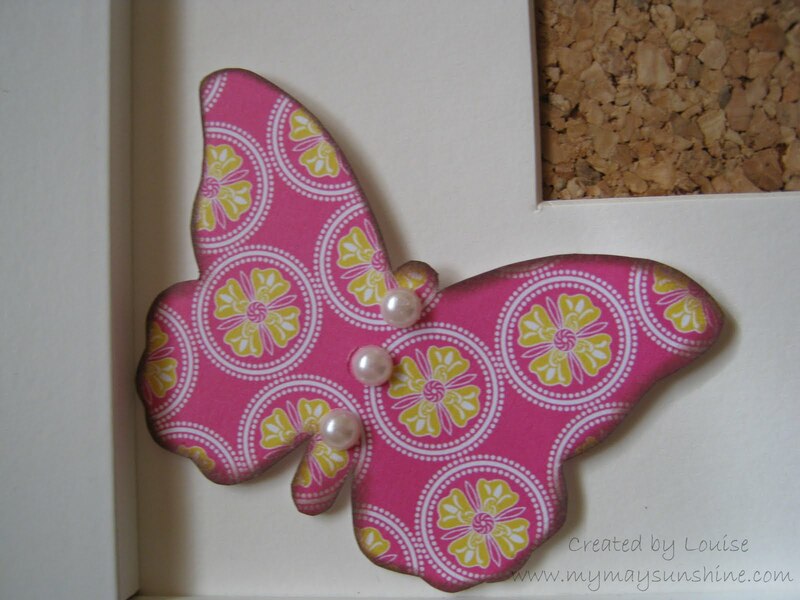 I just simply inked the edges of all the butteflies and added the pearls to the large butterflies. 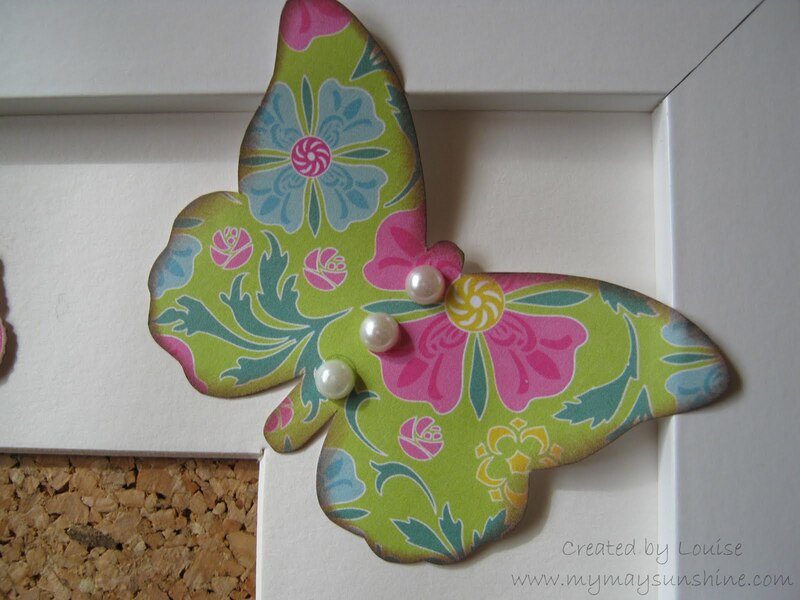 I didn’t want to stick the butterflies to the frame permanently so I just stuck them down with white tack as it won’t leave a mark but holds the butterflies fine to the frame. Now i just need to find where I put my wooden drawing pins for the board and we’re away. 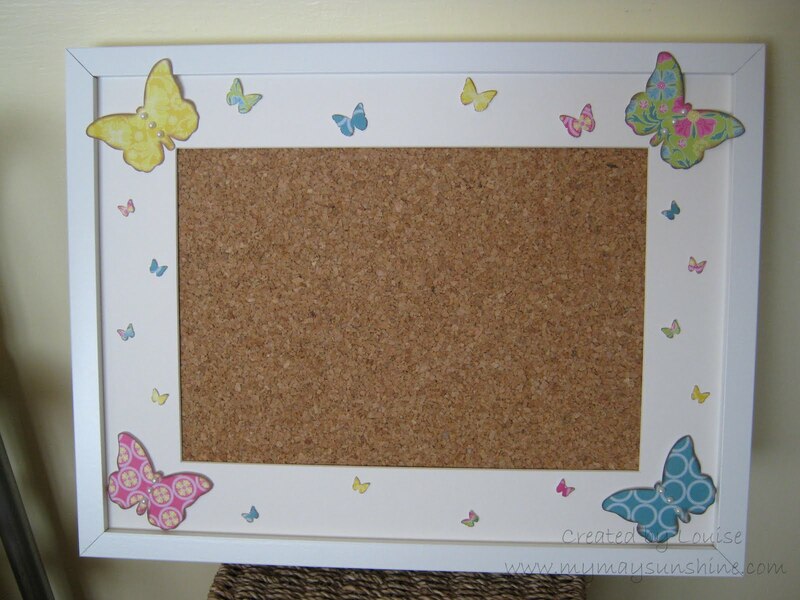 This is an easy way to create a noticeboard that’s something more special than a plain cork noticeboard. Previous Post Acrylic Block Tip.